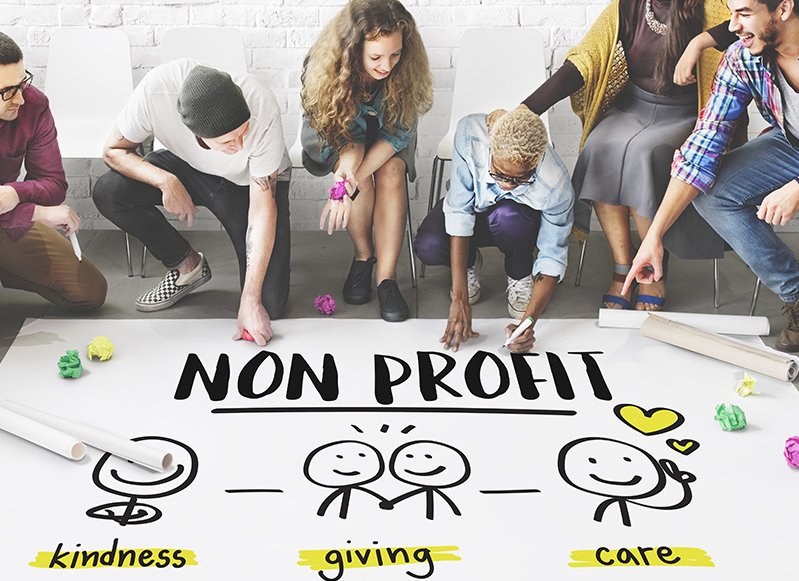 Why Should You Support a Nonprofit Organization? Nonprofit organizations spend money on facilities, support systems and programs that benefit many. With your help, nonprofit organizations are able to aid a cause and support many people. Nonprofits thrive on the generosity of people. When nonprofit organizations thrive, children with autism get the support they need to succeed in life. You can support nonprofits by being involved! All of these expenses can add up to a significant amount, especially in an expensive market like Las Vegas. Almost everyone has a cause they are passionate about. Some people want to spread awareness of breast cancer, some want to support homeless veterans, while others want to invest in the welfare of children. Supporting a good cause gives people a feeling of satisfaction and accomplishment. Many people feel helpless when they’re confronted with a problem they can’t resolve. You might not be able to directly help children with autism, but even small contributions to nonprofits in this field can help them live a better life. This can help people feel like their life is more rewarding. Many individuals are motivated to work harder and be more productive so they have better resources to support causes they believe in. Contributing money or time towards a good cause has a positive impact on your lifestyle. Modern-day people are hard on themselves. They always strive to be the best, deal with competition on a daily basis, and lead a fairly isolated life. Everyone has friends but few have in-depth community ties and regular contact with extended families. This has a psychological impact and can make people feel lonely or unimportant. Supporting nonprofits and helping people in need can boost your confidence. Volunteers benefit from interacting with people from different walks of life on a regular basis. People who donate see the fruit of their labor used in a positive manner and spent on a worthy cause. This can make you feel better about yourself. It’s difficult to raise children in the modern environment. They can easily become mean, bullies, and lose their sensitivity towards the less fortunate. A great way to nurture their innate kindness is to set a good example for them. By donating or volunteering, you set an example for your child and teach them to be kind. This can also be a learning experience. For example, if you volunteer with your kids at the local children’s autism organization, the kids interact with individuals under the spectrum in a comfortable setting. They don’t have to worry about peer pressure and reputation, which allows them to open their minds. Children are more respectful of differences and grow up to be better adults. Sometimes giving it forward can pay you back. When they donate money or time to a non-profit, most people don’t think about how it might help them in the future. But life can throw you a curveball. People who have donated to veterans support organizations for several years might have a veteran friend or relative who needs help in the future. Supporting nonprofits means supporting the community. You never know when you might need the community’s help in the future. This relationship of give-and-take uplifts everyone and makes life a little better. You are a part of something big and noble, which is why so many people donate or volunteer if they’re able to. Research suggests people from middle-class homes and those with modest means often contribute a higher percentage of their resources toward charity. This is because they know how important it is to support these organizations. In Las Vegas, there’s an acute shortage of support structures for children with autism. Parents are forced to rely on Internet information from less than reliable sources. Our Las Vegas nonprofit organization can help hundreds of families provide a safe, nurturing environment for their children with autism. Even small things like shopping on Amazon Smile can help an establishment. Donating and support are easier now than it ever was and there are many valid reasons to make the effort.